As the economy looks to be trending in a good direction and the average American drives a car that is more than ten years old, many consumers are taking the plunge and deciding it’s time to buy a new or gently used car. Interest rates have recently stabilized at historically low levels, and financing is a big part of buying a new car. Where do you turn when you’re ready to make the leap but don’t have the cash to pay up front? When you own a car, there are two financially prudent moves that will help you build wealth. Performing regular maintenance on your car and buying used are seriously smart financial decisions. Experts believe you can build financial security and completely revolutionize your savings by buying a used car and maintaining it regularly over the period of time that you own it rather than buying a brand new car. 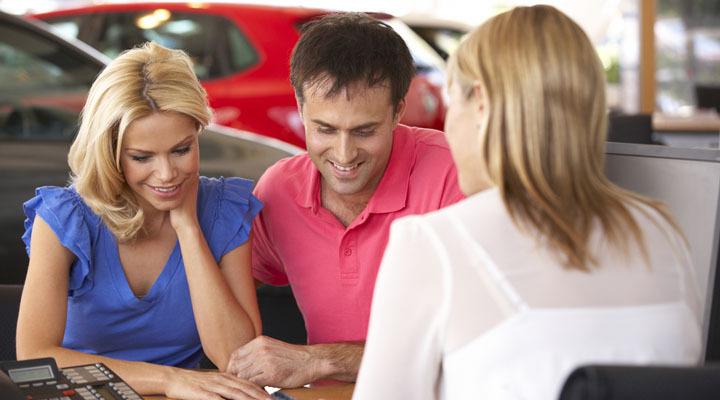 Once you’ve decided on a previously owned car, it’s time to pick a lender. One common misconception is that smaller lenders offer better deals to consumers. In fact, local, small banks may charge interest rates that are 60% higher than credit unions and larger, national banks. Of the possible financial institutions you can choose from, credit unions appear to have the lowest interest rates, coming in almost 44% less than most banks. Credit unions also offer longer repayment terms if you need to keep your payment lower. You also have the option to obtain car financing from your dealership or manufacturer, but you may pay more for the car to offset the money the dealership loses with a lower interest rate. While all dealerships are different, some have accused of discriminatory financing. With this information, it’s common for consumers to prefer to shop and finance at different places when looking for a new car. Whether you choose dealer financing or to go through your credit union, there are simple things you can do to ensure that you don’t end up paying too much for your new or gently used car. Preapproval – Most credit unions and banks offer some type of pre-approval. They will take your disposable income and your current credit standing to give you an idea of what your interest rate and payments will be after you take out the loan. When you are preapproved, you can visit the dealership with a set price in mind, knowing exactly what you can afford to pay. Research – Information is power in any shopping experience. The more you know about the car you are buying, the more empowered you are to negotiate. Salespeople may be inaccurate or dishonest, but if you’re prepared, they won’t ever get the upper hand on you. Shop – It’s easy to dive headfirst into the first deal you see, but it’s rarely the best deal you will find. Saving money is a matter of being patient and looking for the best deal and the best product for your situation. Always comparison shop when buying a car to determine which make, model, and price is right for you. This also helps you avoid any unpleasant surprises after you buy the car. Be Firm – Don’t allow the salespeople to cloud your judgment or talk you into something you know you can’t afford. Come to the lot or dealership prepared with a budget and the total amount you can afford to spend, and don’t get enticed into buying more than that. If they don’t offer you the right deal, make sure they know you are willing to look elsewhere until you can find it. If you know what you can afford to spend, shop around, and stick with your budget, buying a car goes from a nightmare to an exciting experience. Financial burdens come when impulsive decisions are made with big purchases like vehicles. Preparation and persistence are essential when buying a car to ensure that you don’t end up saddled with bills you can’t afford.